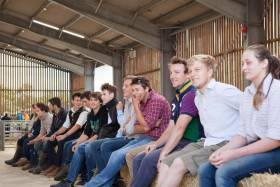 The sheep sector into the UK needs innovative, enthusiastic and professional young people coming through in order to survive. NSA Next Generation is dedicated to encouraging and supporting the sheep farmers and service providers of the future. This website collects lots of information useful to young people in the sheep sector, whether you’re farming in your own right, starting to take more responsibility in a family business, just beginning as an new entrant or one day hoping to get into the sheep sector. Take a look around – and if you can’t find what you’re looking for, or have some new information to share, please get in touch. NSA Sheep Event 2018 saw young shepherds from across the UK competitng for the title of NSA Next Generation Shepherd of the Year at the Three Counties Showground, Malvern, Worcestershire. Taking the title this year was Rob Walker from Clitheroe, Lancashire who is a partner in the family business farming 1300 Swaledale ewes. If you would like to compete in future NSA Next Generation shepherd competitions look out for details of our NSA events featuring the competitions in 2019. NSA Regions will also be holding Next Generation training events throughout 2019 to give those seeking further guidance and experience working with sheep the opportunity to learn from NSA members and leading industry experts. 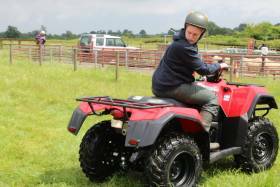 A competitor in the quad bike rounds of the Young Shepherd of the Year Competition at NSA Sheep Event 2014. Tom Bird wins first prize in the Young Shepherd of the Year Competition at NSA Central Region Winter Fair 2015. Dosing of and application of product demonstration at NSA Eastern Region Winter Fair 2014. NSA runs a series of regional Young Shepherd Competitions, as well as a biennial national final. We also support a UK team in attending the European and World Finals. More here. NSA helps young people find work experience, college/uni work placements and employment in the sheep sector, through our network of farmer members. More here. 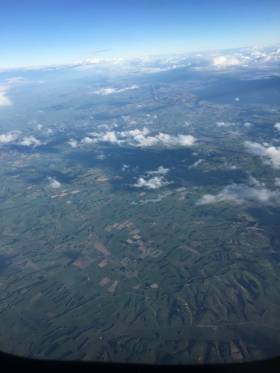 NSA supports its sheep farming members by promoting those farmers in need of lambing staff. Agricultural students and trainee vets can use these valuable work experience placements to gain vital skills. More here. 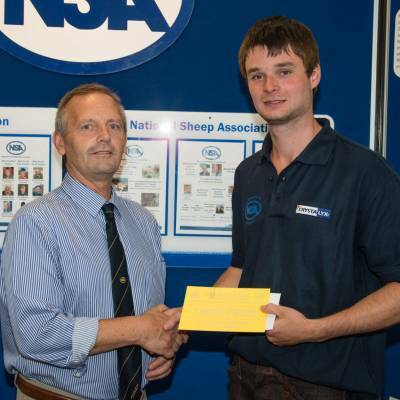 Who took the top title of National NSA Next Generation Shepherd of the year competition at NSA Sheep Event 2018? Newsletter available to ages 35 and under.